NIKI connection from Bratislava to Brussels will start operating in October rather than April. Passengers from Slovakia will have direct access to the oneworld network in Brussels and the airberlin/NIKI hub in Vienna. Starting in autumn 2015, Slovakia and the Bratislava region will have access to a global flight network. When Slovakia assumes the Presidency of the Council of the European Union in July 2016, the country will thus be perfectly linked by air with Brussels, the de facto capital of the European Union. Beginning this autumn, NIKI will take off from Bratislava Monday through Friday at 6 a.m. (Flight No. HG8992) and land in Brussels at 7:35 a.m. NIKI Flight No. HG8993 will leave Brussels on those same days at 8:10 a.m. and land in Bratislava at 9:55 a.m. There will also be evening flights: Flight HG8994 will depart from Bratislava at 6:45 p.m. and land in Brussels at 8:20 p.m. Flight HG8995 will take off from Brussels at 8:55 p.m. and land in the Slovakian capital at 10:40 p.m. An additional Bratislava-Brussels connection will operate on Sundays as well. 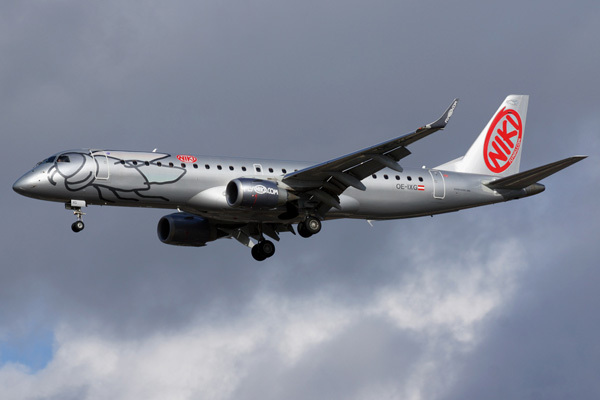 Travellers from Slovakia will also be able to take advantage of short shuttle flights between Bratislava and Vienna in order to gain access to the complete NIKI network via Vienna Airport, which also offers optimal connections to airberlin and Etihad Airways flights.